Since 2001, the civil liberties of British citizens have been progressively eroded. Among other examples, the Extradition Act (2003) allows individuals to be extradited to another country for actions that are not criminal in the UK, and without prima facie evidence of a case against them being presented in a British court. This Act can result in long periods of detention without charge (British citizens have been detained for up to eight years). The proposed Justice and Security Bill, which allows for ‘secret courts’ also poses a potentially fatal challenge to principles underlying the Rule of Law. Louise Christian will discuss this dangerous situation with us. 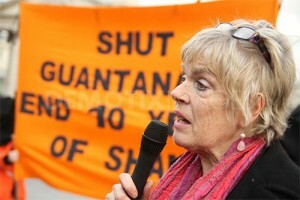 An award-winning British human rights lawyer, and co-founder of the Christian Khan law firm, she is a tireless campaigner in the cause of social justice, and recently acted for former Guantánamo detainee Martin Mubanga and three other Guantánamo detainees in an action against the government and the security services.